Welcome to Paleohacks! We’re glad to have you aboard the biggest Paleo community on the web. Our goal is to help make your transition to Paleo as easy as possible. Here you’ll find information and answers on all things related to the Paleo lifestyle. We believe Paleo is one of the healthiest ways to eat on the planet. It’s based around avoiding processed foods, gluten, grains, soy, dairy, and legumes, and eating real, unprocessed foods. 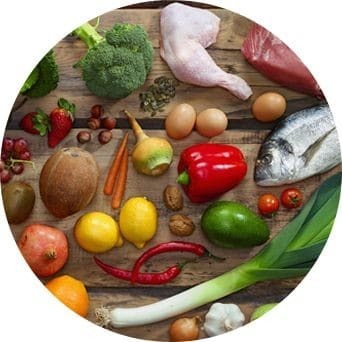 It’s more than just a diet, though — it’s a smart, adaptive, evolutionary approach that can improve any aspect of your health. 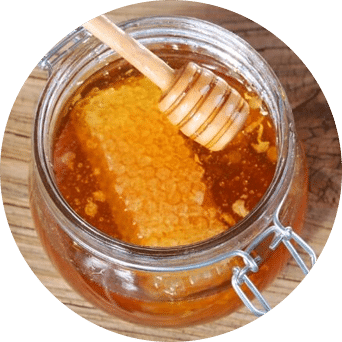 It can help you lose weight, improve athletic performance, improve sleep quality and mood, reduce inflammation & arthritis, address autoimmune conditions, mental health problems & depression , and even reduce your risk of heart disease, cancer, and diabetes. Click here to discover more about the benefits of Paleo. Which Foods Are Paleo Friendly, and Which Foods Should I Avoid? Find out in our Complete Paleo Diet Food List here. check out this post from our blog. Although mainstream nutrition claims that soy is basically a superfood, it does not fit into the Paleo paradigm. Not only do they contain the anti-nutrients that other legumes contain, like lectins and phytic acid, but are also frequently genetically modified. GMO soy has been linked to health problems like allergies, birth defects, and fertility issues. Beyond that, soy can also disrupt hormone levels and thyroid function. This is all to say that we do NOT recommend including soy in your diet. You can learn more about our take on soy here. Gluten is a protein found in many grains that makes them chewy and stretchy — it’s also used in many processed foods as a thickening agent. 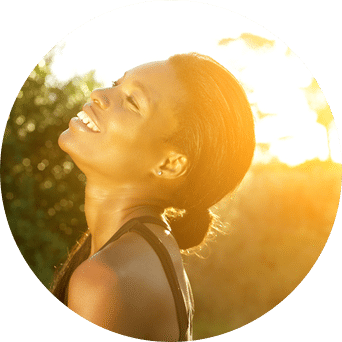 Our bodies are not designed to digest Gluten, and because of this, it can cause various issues like inflammation, leaky gut, brain fog, and more. Gluten and similar grains are NOT included in the Paleo Diet. Learn more about gluten here. Legumes are a category of food that includes foods such as lentils, peas, chickpeas, peanuts, and soybeans. On a strictly Paleo diet, legumes are to be avoided — just like dairy and grains. However, there is some gray area for those who don’t have trouble digesting them. They can be eaten if properly prepared, but it’s generally a good idea to leave them out of your regular diet as they don’t provide much nutrition and could cause problems. Learn more about legumes here. Anti-Nutrients are natural or synthetic compounds that interfere with the absorption of nutrients. They’re present in things like grains and beans, but also in green leafy vegetables like kale, spinach, and chard. It’s generally advisable to avoid or eliminate anti-nutrients in food through proper cooking methods. Learn more about anti-nutrients here. Alcohol is a staple in global culture and isn’t going anywhere anytime soon. You can maintain proper health while consuming a few drinks a week socially; however, alcohol has many downsides, especially if you have the specific goal of losing weight. Check out this podcast for more on Alcohol as it relates to weight loss. Coffee has tons of health benefits, including assisting in burning fat, decreasing risk of diabetes, alzheimer’s, parkinson’s, cancer, and depression, and includes a significant amount of antioxidants. However, the flip side of coffee is that it also increases your level of cortisol (the stress hormone) and puts stress on your adrenal glands. It’s accepted on the Paleo Diet (Bulletproof Coffee is very popular in the Paleo community) but should be consumed with some discretion. More on coffee here. If you’re looking to get “off” coffee — check out these 11 coffee alternatives here. We’ve got great news — Chocolate is good for you. However, to get the most nutrition and health benefits, it has to be 70% or higher cacao dark chocolate. This type of dark chocolate is high in Iron, Magnesium, Copper, Manganese, Potassium, and Zinc, along with tons of antioxidants. This type of chocolate can help improve brain function, lower blood pressure, lower the risk of stroke, and a lot more. That doesn’t mean we recommend stuffing your face with it 24/7 — it’s best to eat in moderation. Learn more about the benefits of dark chocolate here. Salt — the right kind of salt — is good for you, and an essential nutrient. We recommend you choose sea salts or Himalayan pink salts, which naturally contain greater concentrations of essential trace minerals. More on salt — and how much to include in your diet — here. One of the most overeaten pieces of the American diet, Sugar is a food that is minimized on Paleo. We recommend that as much as you can, stay away from the refined sugar that’s found in most consumer food products. The sugar from fruits is acceptable – you should be weary of your fructose intake. Reducing sugar intake is often a tough transition for those adopting the Paleo diet, as sugar interacts with your brain the same way addictive drugs do. 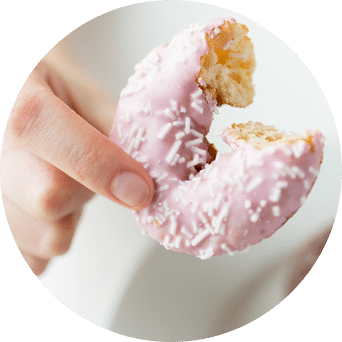 Learn more about sugar addiction here, 6 ways to beat sugar cravings and fructose here. Fats are a main energy source for the body and a vital part of the Paleo Diet. 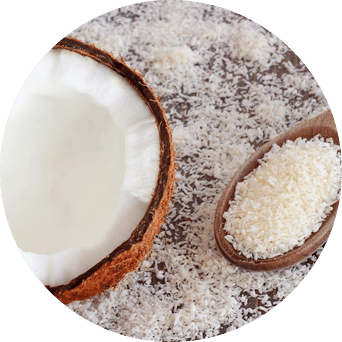 Consuming quality fats daily is critical for brain function, healthy skin and hair, immune function, healthy digestion, body temperature regulation, and aiding in the absorption of fat-soluble vitamins A, D, E, and K. Discover the facts about fat in our 3 part series here, here, and here. While Paleo tends to lean towards being low-carb, it is not strictly a low-carb diet. Paleo includes many starchy, high-carb foods, including sweet potatoes, squash, and yams. Some argue that eating even these Paleo-friendly foods can be harmful by increasing your insulin resistance, while others advocate eating a moderate amount of starches to boost your mood, physical performance, and energy levels. We think that carbs definitely have a place in a Paleo diet — with the amount depending on your activity level — you can find out the full story on starches here. And learn more about how to manipulate your carb intake for fat loss here. Protein is like a secret weapon when it comes to weight loss and another vital element of the Paleo Diet. Protein reduces your appetite and hunger levels, helps increase muscle mass, improve bone health, reduce cravings, lower blood pressure, and it speeds up your metabolism, making your body a more efficient weight-loss machine. Figure out what your ideal protein intake should be here. Cholesterol, along with Saturated Fat, has been one of the most demonized parts of the american diet — being held responsible for heart disease, cancer, and other health problems. However, it has been found that cholesterol is actually good for you — and should be included in your diet. To learn more about cholesterol & how much you should eat click here. To see the top 5 myths of cholesterol dispelled, click here. Nuts are a great source of healthy fats and antioxidants, making them a popular food for preventing heart disease and cancer. They’re popular amongst Paleo enthusiasts, although be wary of the anti-nutrients in many types of nuts. And be wary of eating too many! A handful is usually plenty for one serving. Check out our list of the best and worst nuts here. And learn 20 things you probably didn’t know about nuts here. Food additives are everywhere. The FDA has a list of over 3,000 food additives that are used in american foods. Most of them you’ll want to avoid as much as possible, but there are some that are considered safe. Check out our Definitive Guide to Food Additives here. Doesn’t not eating all those foods get boring? You might think so, but as it turns out, there are a ton of delicious Paleo recipes out there! 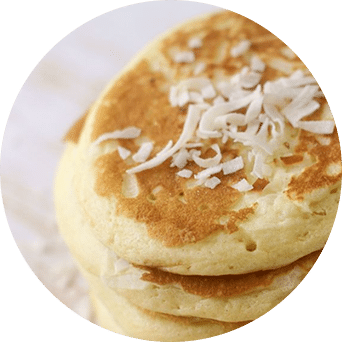 You can see our full Paleo Recipe Archive here or you can search through our Paleo Recipe Category here. Fad diets often are focused solely on extreme results in a short amount of time. And although Paleo can lead to quick weight loss, Paleo is more of a lifestyle adjustment involving permanently changing our eating habits with the goal of improving our overall health. The mainstream will always look for some kind of labeling when a large amount of people adopt something new; it’s usually done to cover up for their own insecurities or lack of will to make a change in their own life. In fact, you may encounter some social pressure to NOT eat Paleo — even if you’re getting great results from it. You can find our solutions to handle that kind of social pressure here. Understand that this is a lifelong choice to remove foods that the human body is not meant to eat. The result? Feeling and looking better than ever before. We’re not going to lie to you and tell you that transitioning to Paleo for the first time isn’t a challenge — because it definitely is. You may encounter social and family pressure to not change the way you eat. You may go through a ‘detox’ phase as you eliminate foods that your body and brain are likely addicted to. But you CAN do it, and the results from changing your diet will make any challenges you face worth it. here’s some of our best tips to create new habits (like eating Paleo foods!). What should I expect on Paleo? Like we mentioned before, transitioning to Paleo isn’t always easy. You’re going to experience a few roadblocks in many forms. You’ll have cravings, you’ll initially feel a bit tired, and you’ll come across negative social pressure and/or criticism. It’s important to stay focused and realize these things as they happen during your first 30 days. The 21 Day Paleo Meal Plan – This will give you meals for your first 3 weeks, so you won’t struggle to figure out what to eat. The Paleo Diet Shopping List – Here’s our printable shopping list that will help you navigate through the grocery store on your next trip. Your first 48 hours on Paleo — Our quick guide to the immediate transition into Paleo – and how to overcome any initial challenges. 10 Ways To Eat Healthy On A Budget + The Ultimate Guide To Eating Paleo On A Budget – These are two of our best resources to help you save money while eating Paleo. How To Stay Paleo On The Road – You don’t have to just stay at home all day to eat Paleo successfully – there are tons of ways to stay Paleo while traveling – and this is our best resource to show you how to do that. The Complete Paleo Diet Food List – In case there’s any confusion, here’s our complete list of Paleo foods to eat and avoid. How To Stay Paleo At Restaurants – Our guide to on how to avoid getting “glutened” and how to stay Paleo when you eat out. 15 Essential Tools Every Paleo Kitchen Needs – This will show you the essential kitchen items that you’ll need to get cooking delicious Paleo meals. Look – we understand the concern. When you switch to Paleo, a lot of your favorite meals are now off the “safe” list. I have a more specific Paleo or health related question. Great news! We have an entire Q&A community dedicated to getting your questions answered. 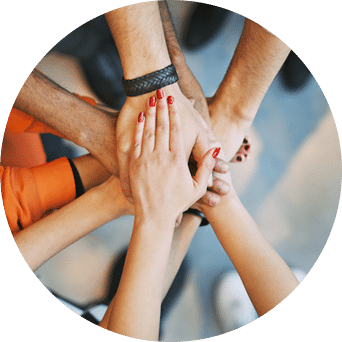 Here you can connect with other Paleo users, share your progress, learn new tips and tricks, get past any sticking points, and pass along knowledge that’s helped you on your Paleo journey. You can search for the answer to your question here, and if you can’t find the answer, register here to ask your first question. Intermittent fasting is an eating pattern that involves fasting anywhere from 16 to 24 hours — something that our ancestors often did out of necessity. 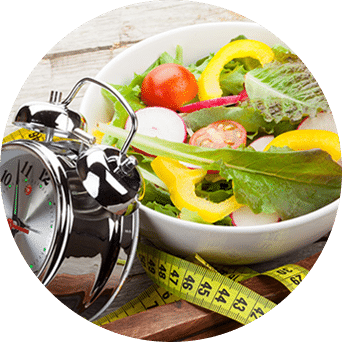 Noted health benefits from Intermittent Fasting include increased production of growth hormone, increased insulin sensitivity, reduce inflammation, assist in the prevention of cancer, and helps you burn more body fat. We are proponents of it — though it isn’t for everyone! 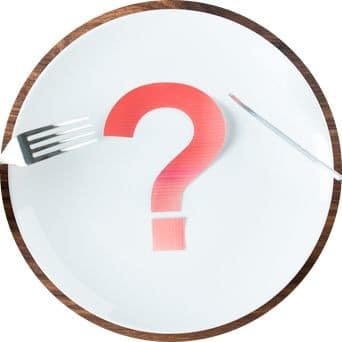 Learn more about the different methods of Intermittent Fasting here. If you’re an audio learner, Listen to our podcast with Brad Pilon all about intermittent fasting here. Ketosis is the state your body goes into when you have elevated levels of ketones in your body. In this state, your body essentially uses fat as a source of energy instead of glycogen. There is one way to get into ketosis, and that’s to eat a low-carb (and high fat) or “ketogenic” diet. These diets are made up of, generally, less than 50g of carbohydrates, with the remaining food coming from a mix of fat and protein. An obvious pro here is the fat loss, and there have also been additional medical benefits found. Like intermittent fasting, though, it’s not for everyone. Learn more about including a ketogenic diet in Paleo here. To learn about the pros and cons of ketosis, click here. While “Cheat Days” should be minimized, you should figure out what works best for your unique situation to keep you motivated and on course with eating Paleo. For example, If you struggle with food cravings or have an addictive personality, cheating all day can make it harder to get back on the wagon. One cheat day becomes a day and a half, then two. And it might not stop until you’ve fallen back into bad habits. Learn more about “healthy” cheat days here. How Do I Exercise On Paleo? Exercise & Movement is a key part of Paleo. 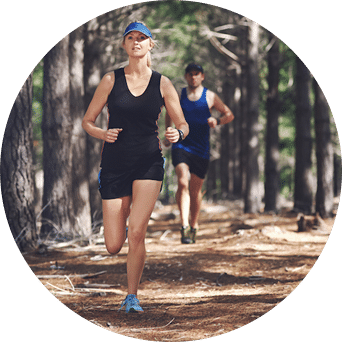 We love walking, sprinting, bodyweight workouts, and even though our cavemen ancestors weren’t really lifting dumbbells and kettlebells, we love those too. For everything on exercise and movement, check out our movement 101 series here. Do I need supplements on Paleo? Once you’re eating whole, nutritious, Paleo foods and exercising regularly, supplements can be useful in getting you the extra nutrition that may be lacking in your Diet. 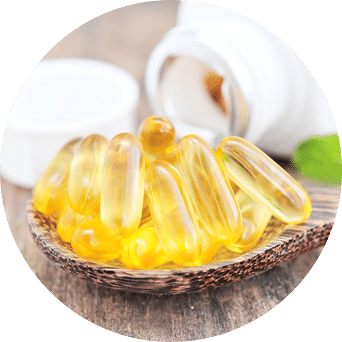 Modern agricultural methods have stripped a lot of the nutrients from our soil, so it’s smart to incorporate a few supplements like Vitamin D, Magnesium, and Fish Oil to make up for any shortcomings in your diet. Check out our list of recommended Paleo Protein Powders supplements on the Paleo Diet depending on your need. Should You Avoid Kale If You’re Hypothyroid? What Are Trace Minerals And Are They Important?